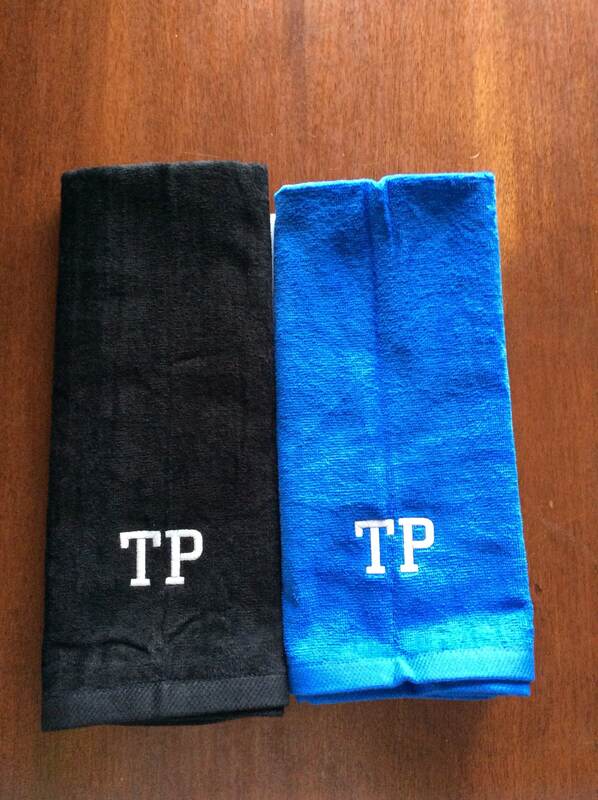 Personalized Terry velour towels made to order. Fast turn around. 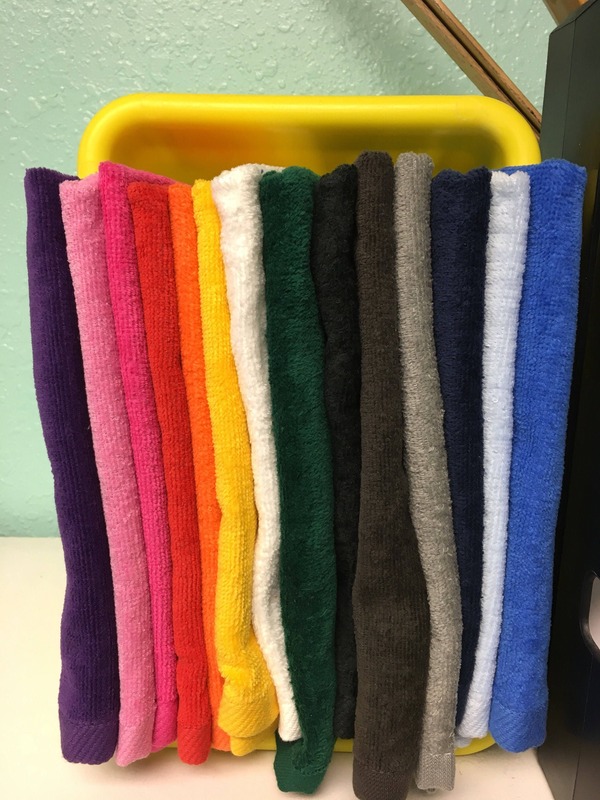 Choose towel color and size in the drop boxes. 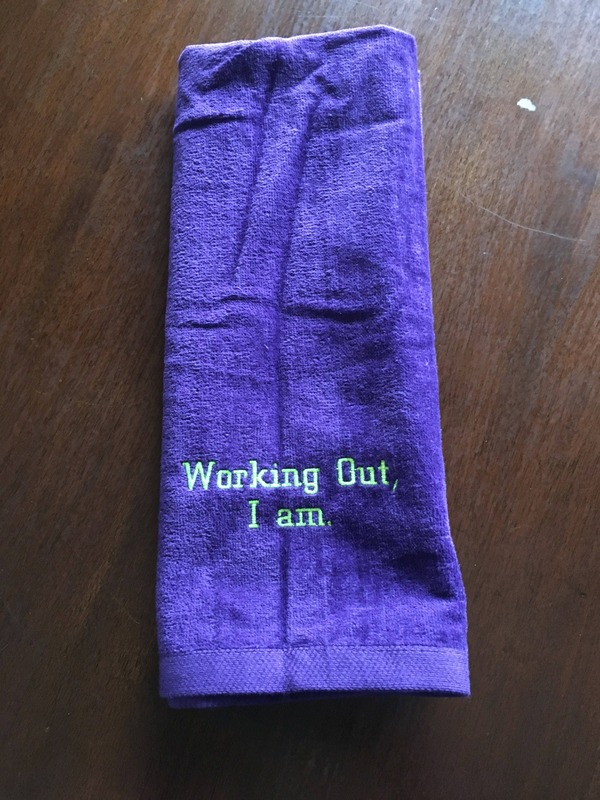 This logo towel perfect workout towel for exercise. 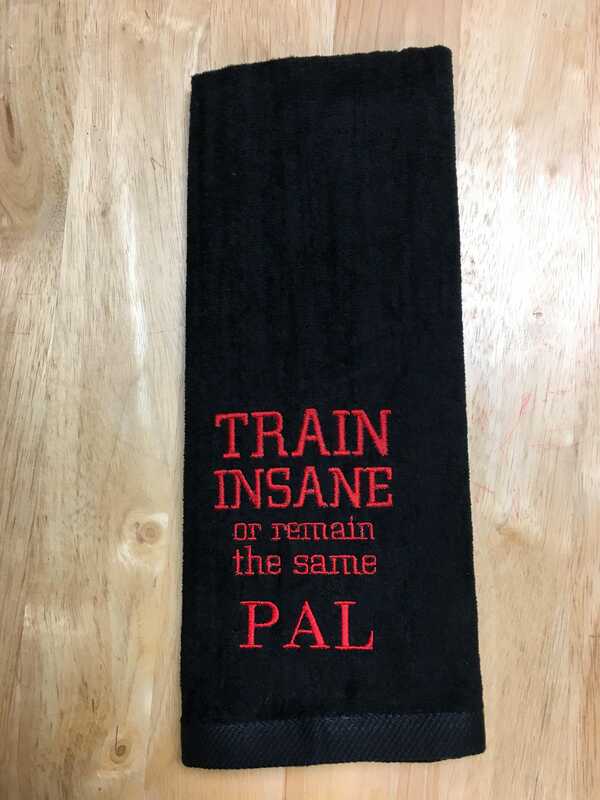 It's custom embroidered made for you. 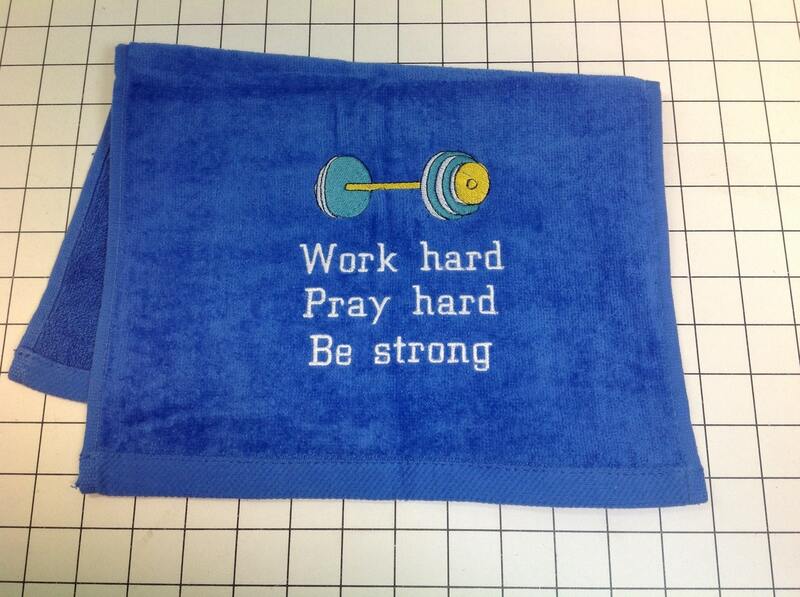 You can choose any colors for any part of this towel with or without grommet in the corner. 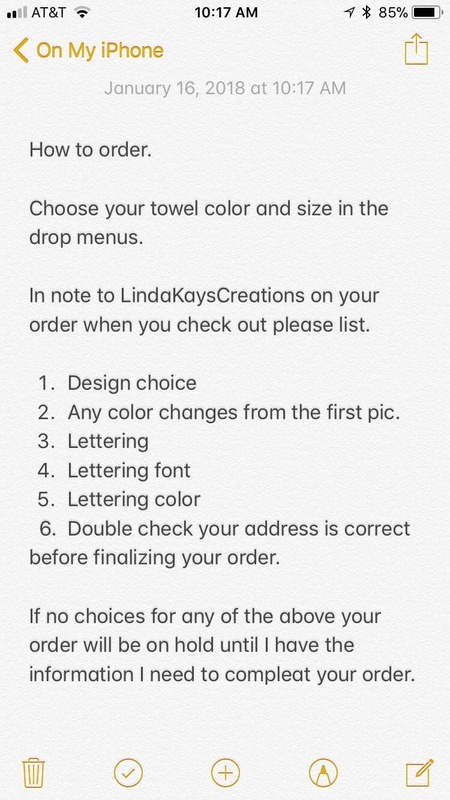 Choose your towel color and size in the drop menus. 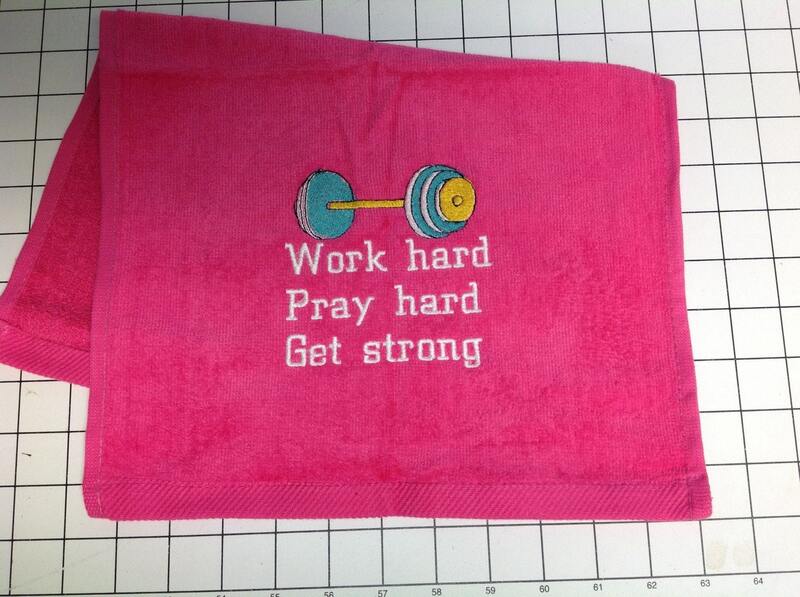 Please be sure you list the Lettering and colors for towel and design colors you would like me to use. The more letters the smaller the whole design. I can put almost anything you want on it. 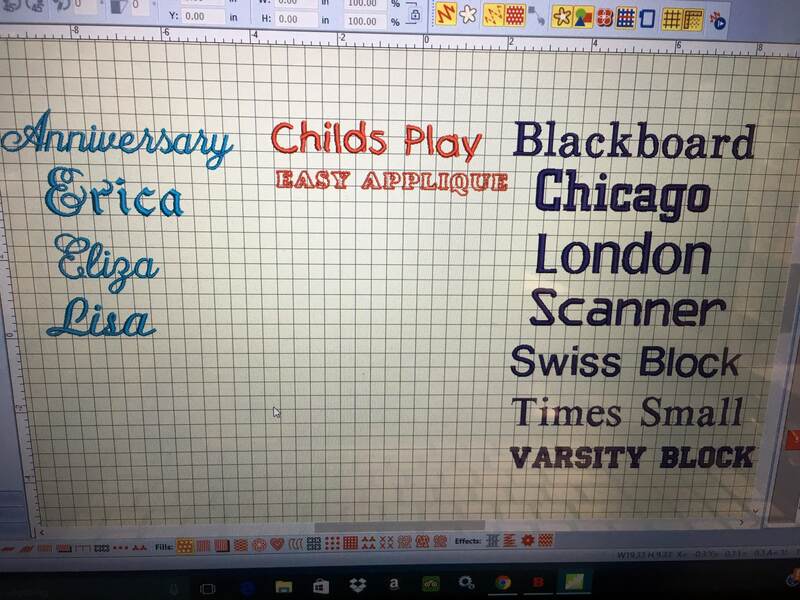 I can digitize some company logos, if you own the design. Beyond My Expectations!! BEST Ordering Experience I've ever had! !....I recommend Linda Kay Creations to everyone!!! I received everything I was looking for and more! A group of girlfriends and I plan an annual Girl's Trip and we exchange gifts each year. 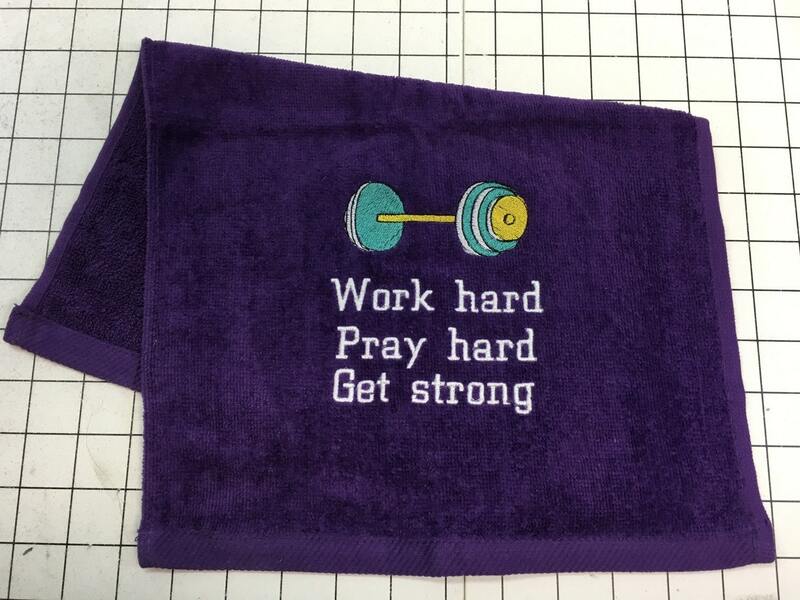 Personalized Linda Kay Creations Towels commemorating our 2018 Montreal Girls Trip was a hit during our Zumba class!! 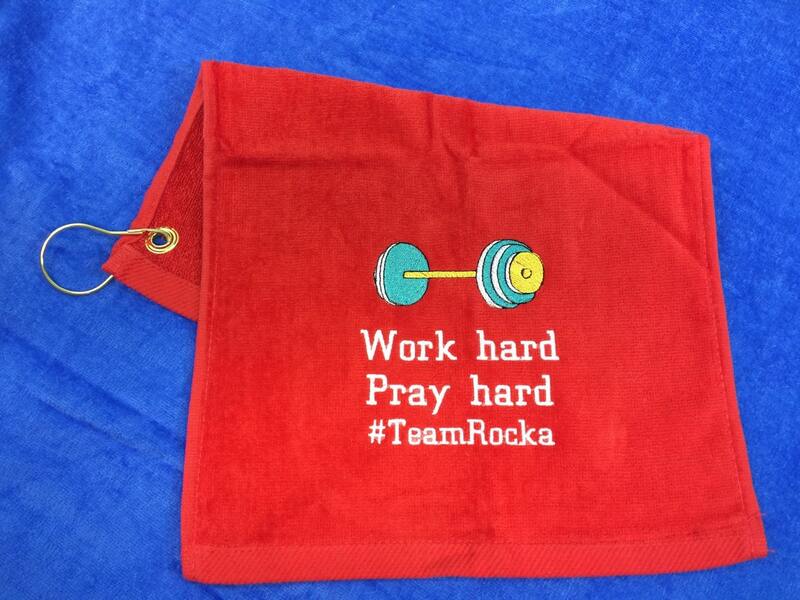 The vibrant & bright colors of the towels & stitching are AMAZING and beyond my expectations!!! Our communication with each other was also outstanding! Linda's responses were swift & professional and promptly addressed ALL my questions and requests. I was pleased beyond measure and highly recommend Linda Kay's wonderful creations! I would highly recommend anything from this shop! Wonderful!